Artecy Cross Stitch. 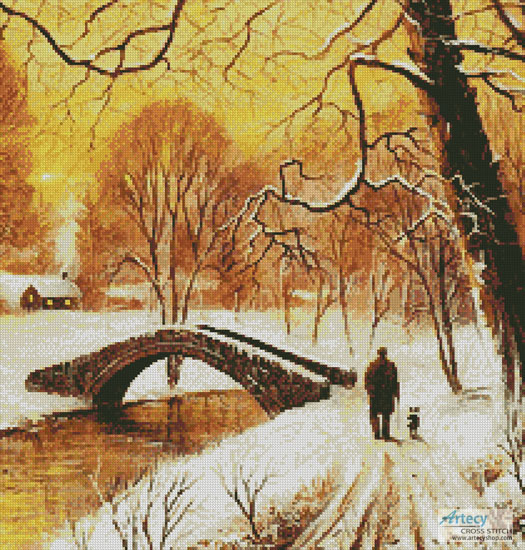 Woodland Walk(Crop) Cross Stitch Pattern to print online. This counted cross stitch pattern of a Woodland Walk was created from beautiful artwork by Kevin Walsh. This cropped version is a cropped section of the full version, it is quicker, easier and more affordable to stitch than the full version, however it still has great detail as we have just cropped an important section of the design. Please note if you think you may stitch the full design as well at some stage it may be better to purchase the full design instead, as if you purchase this design and then decide you want the full version, unfortunately you will need to purchase that pattern as well. If you purchase the full version we let you know on the website the area to stitch for this cropped version.